Winner of the National Indie Excellence Award in the Cross-Genre Category! Naomi sees her first corpse in a Colorado Springs grocery store, but it won’t be her last. With devastating speed, a plague sweeps first the city, then the state, then the world, leaving less than 1% of the population to go on. Naomi finds herself fighting for survival in a world populated by desperate people, where might-makes-right, and mercy and compassion are in short supply. And it’s not just the world that has changed. The plague that decimates the human race also pushes mankind into evolutionary change. Those who survive are different, profoundly so, in ways they are just beginning to comprehend. As Naomi struggles to protect and reunite what’s left of her family, she must also learn to understand and accept the changes in herself. 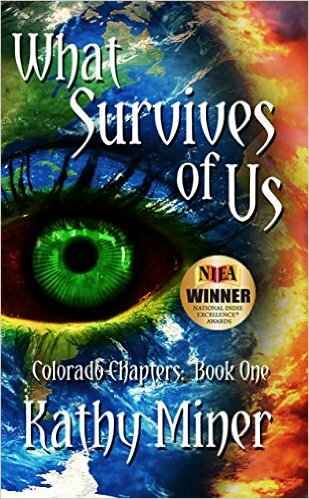 In this strange new world, her survival, and the survival of those she loves, depends on it.